It’s time to look at a recent DC show that was rather short lived. Granted, it hasn’t officially been cancelled yet as a few sites still hold out hope on it returning, but the odds of that happening do seem rather slim at times. It’s a shame because the show was fun even if it was severely limited by the dreaded 15 minute format, still one of the worst modern innovations for cartoons in general. We got some action and some more adventures with the heroes so that was pretty cool. Naturally there isn’t really any kind of ongoing plot here. Most of the episodes are stand alone adventures with maybe a reference or two in there somewhere. Interestingly enough the first 4 episodes was a multi part epic though. It would have been cool if the rest of the show had gone that route. It’s a way that you can get past the animation and the time constraints to tell more of a full story although I suppose that wasn’t the priority here. It’s leagues better than DC’s other current show Teen Titans Go though as this one puts the action as more of a priority than the humor with Teen Titans does the opposite. The humor we do get from Justice League is also just a lot better than Go’s. The animation will take a lot of getting used to, but specifically it is probably the character designs that seem a little off. Everyone’s super skinny which may just be a flash thing as that’s the same way the characters are drawn in Teen Titans and for the most part MLP. I’m definitely not a big fan of Flash and to be honest at this point I’m pretty sure that CGI has started to pass it for the most part as well. I’m not sure if this is Flash or an odd form of hand drawn animation but it looks more like the former. The fight scenes can be pretty good when the show tries though and I can see them pulling something off with this art. We don’t get big fights all that often though as mostly they are quick skirmishes but we’ll take those. We also do have the good sound effects from the old DCAU days back as well. There isn’t much of a soundtrack here, but whatever is around goes well enough with the story. Again, you don’t want to expect too much here, but the beginning of the show did have a lot of promise. The first elemental villains that we got were a lot of fun. They were even very powerful as they gave Wonder Woman and Superman a pretty good fight. We had Batman going up against some classic thugs in a fight that may sound boring but it was handled very well and hearing Batman’s old voice again was great. The first few episodes actually took themselves very seriously and it felt like it could be a Justice League sequel. Gradually the show switched up its approach a bit though. It acts more like a homage to the JL show than a sequel and the comedy episodes became more frequent. There’s nothing wrong with a comedy series of course, but I think the show would have been able to reach the next level if it had just stayed like the first few episodes. For the most part they were the best ones. Other good episodes were: Firestorm’s debut episode where he has to fight off a group of androids, The Time Travel episode where Batman has to stop Chronos from murdering him on his first night as Batman, The Arcade Game where Toyman puts the heroes into a video game, The episode where Lex gets Amazonian abilities, and the one where Lex and Batman have to match wits with the fate of the world at stake. Most of the episodes are quite solid but in particular those are some of the episodes that I really enjoyed. I could probably count the number of mediocre episodes on one hand in comparison. So at the very least JL Action was always a lot of fun. With each segment being so short it was also pretty clear from the start that pacing would not be an issue. Each adventure feels like it goes by very quickly. Another thing I liked about the show is that it did give more screen time to some characters who didn’t do a lot in the main series. Firestorm gets a big role and is featured in many episodes. His abilities are very handy to have after all and in general he could be one of the team’s strongest members. Booster Gold also appears quite frequently to mess with time and try to get rich. At the very least you have to respect his resolve since the guy never gives up no matter how many tries it takes. We even get an episode for the Super pups as they fight the Red Lanterns. There was some serious power level shenanigans here since Krypto should have looked a lot better than he did in the fight but I’ll let it slide. In general power levels are often tricky for super hero shows and a good out to use is that the heroes are probably holding back quite a lot in order to not seriously hurt the villains. Hopefully we do get a full Justice League show at some point. 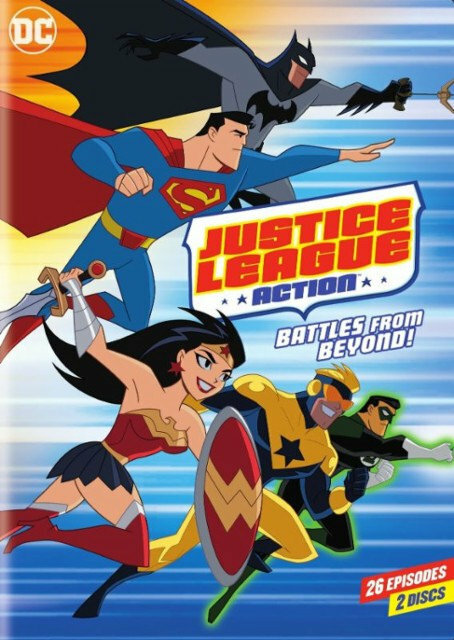 To put it one way, Justice League Action feels more like a RWBY Chibi kind of series where it is made to complement the main title. We need a full length Justice League series to air at some point and then Action could air while it’s on break. Justice League is a huge franchise so you’d think that it would sell quite well and yet DC hasn’t really made a move in a while. It’s a gold mine just waiting to happen. There’s not much else to say about this show because we’re all already very familiar with the characters and there’s not much of a plot to discuss so even as a show review it’s a little on the short side. 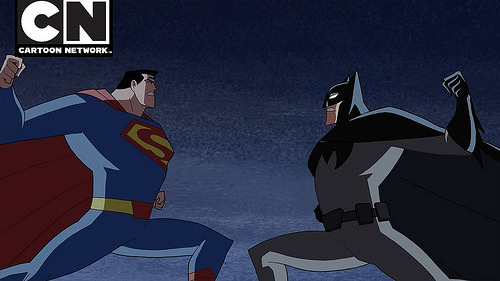 As a final note before the wrap up, I will say that Batman and Superman are the best characters as always. They always tend to have great episodes backing them up and the contrast between the two fighters is always nice as well. It’s why they are so legendary at this point. Overall, This was a fun DC show. I would put it behind most of the other recent ones but it didn’t really make any mistakes. I’m not a huge fan of the format but it probably did about as much as it could with it while still keeping the comedy elements that Cartoon Network demands. I’d like to see the DCAU return again at some point with a full show. If you haven’t seen it yet then I’d recommend checking out JL Action. It’ll give you a chance to hang out with your favorite characters once again and it should feel pretty nostalgic in general.